This week’s must read: Time Magazine on what’s wrong with industrial food production systems and all the good things lots of people are doing to make it better. It’s dumbfounding that Time magazine would take one of the great American success stories — the efficient agricultural production of an abundant variety of healthy, safe and affordable foods for consumers in the U.S. and throughout the world — and turn it into an unrecognizable story of exploitation, manipulation and greed. The intrepid economists at USDA* have published an analysis of what the current rise in food prices means for U.S. agriculture. Their report provides a broad overview of the causes and effects of higher food prices. The bottom line: the long-term effects are still uncertain but they will surely be worse for farmers in developing countries than for our own farmers. But shouldn’t the USDA also be concerned about what’ will happen to Third World farmers? If we are part of a global food system, don’t we have some global responsibility? *The USDA Economic Research Service (ERS) has produced an interactive report summarizing the kinds of research it does. See if you agree with me that the ERS does invaluable work and performs a great public service. It’s Sunday, so let’s take a break and browse some food magazines. These, from high-end Gourmet to mass-market Food and Family, are responding to the economic crisis by focusing on basic cooking skills. In writing about this new trend, the New York Times business section has produced a terrific overview. Have trouble telling the magazines apart? Want to know how their advertising is doing? And how about a little history? It’s all here. And who knew that Food and Family has the largest circulation of any food magazine (7 million)? How come? It’s owned by Kraft Foods, a company that knows what its audience likes. As for eating well on a tight food budget, here’s Jane Brody’s advice, accompanied by a bunch of low-cost recipes. Cook up a storm this weekend! More reading catch up: the November 2008 issue of the journal, Agricultural Economics, has a collection of academic analyses of the causes and effects of rising food prices. 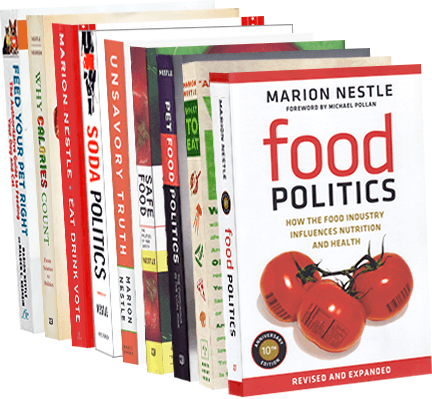 These authors blame the world food crisis on weak monetary policies, demand for food as biofuel, and restrictive trade policies. Others may disagree but whatever the causes, the consequences are unlikely to be good. While you can still get into this, take a look at the Wall Street Journal’s terrific map of the world food crisis. You click on the country of interest and instantly see a graph comparing grain consumption to production. Compare grain-producing countries like the U.S., Canada, and Russia (shown in green) to grain-consuming countries like Mexico and South Africa (shown in blue). The moral: the situation is getting too close for comfort. Surely, this collection of items is nothing if not ironic. The International Food Policy Research Institute (IFPRI) has issued its 2008 Global Hunger Index, which maps 33 countries with alarmingly high rates of hunger. And then we have Taco Bell’s new Big Bell Box; it racks up 1670 calories with the drink and more than 3 grams of sodium (about 7 grams of salt). We also have the Heart Attack Grill, which I guess is not really a joke. I thank Andy Bellatti and Hugh Joseph for pointing these out (I think). USA Today interviewed USDA officials who think food prices will go higher quickly, and maybe much higher. Grow your own, anyone?